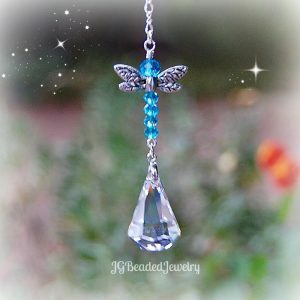 This crystal light pull set is designed to easily attach to an existing ceiling fan and light pull chain. 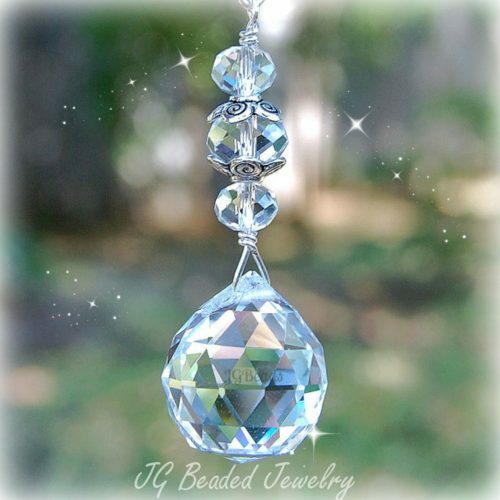 The 20mm and 30mm clear prism crystals are wire wrapped for strength and longevity with sturdy silver wire. 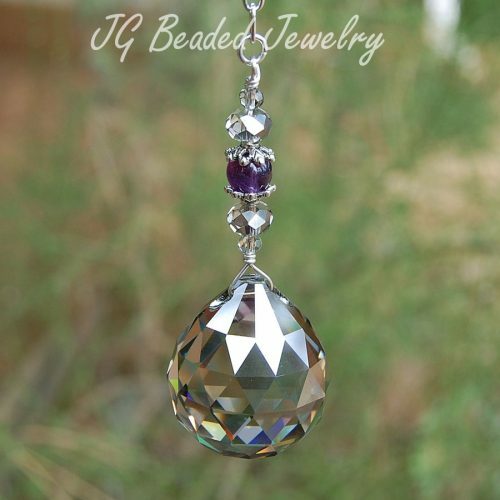 The crystal pulls are embellished with iridescent Swarovski crystals, beautiful vitrail/clear glass beads and fancy silver metal beads. 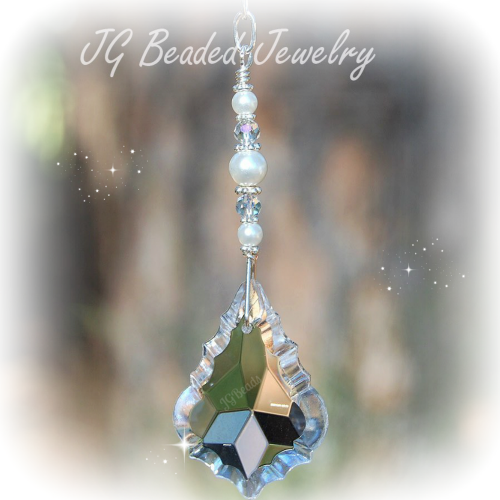 The lengths of the two sized prisms vary in length for an elegant and classy look. 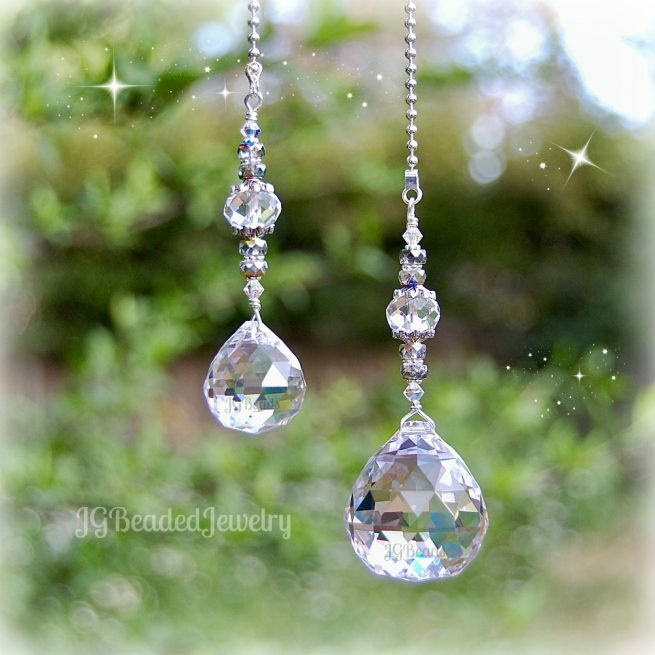 The smaller prism hangs at 8.75 inches and the larger prism hangs at 9 inches. 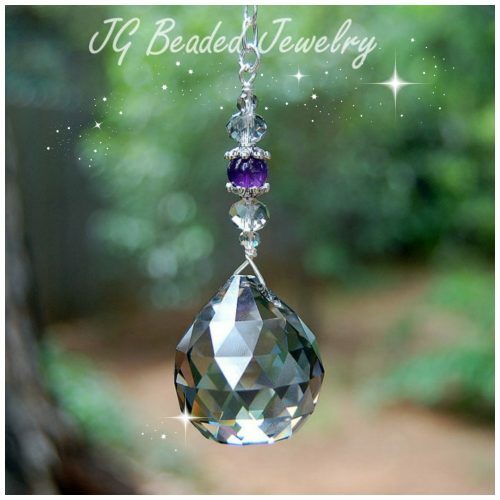 The crystal fan and light pull set would be a lovely addition to your home, nursery, office or outdoor porch area. If you require longer chains, please contact us with your request for pricing.